He was one of the most feared politicians of his generation and heavily linked to hardline Irish republicanism. 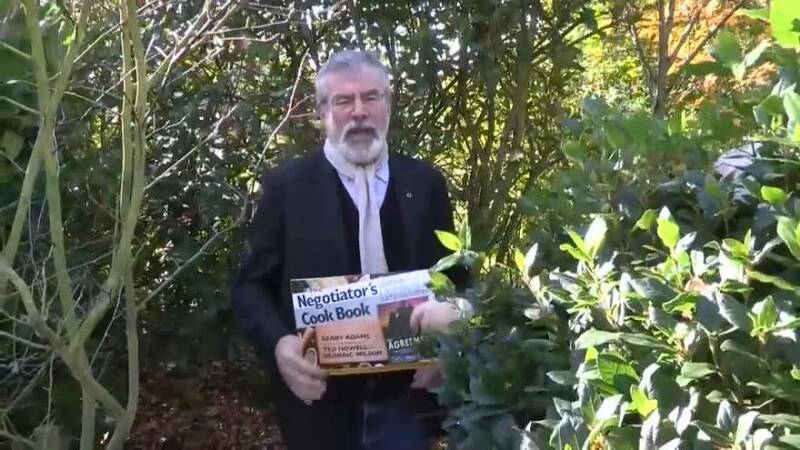 But now footage has been released of former Sinn Fein leader Gerry Adams emerging from a bush to talk about his favourite recipes. It is part of the promotion for The Negotiator’s Cook Book, a collection of recipes allegedly used to feed republicans during the peace process. The Good Friday Agreement was concluded in April 1998 and aimed to end 30 years of violence in Northern Ireland. Signatories included the British and Irish governments and parties in Northern Ireland, including Sinn Fein.